Soups are a fundamental part of the Caribbean diet like sandwiches are part of the American lunch. In most Jamaica households soup is served religiously for supper on Saturdays. 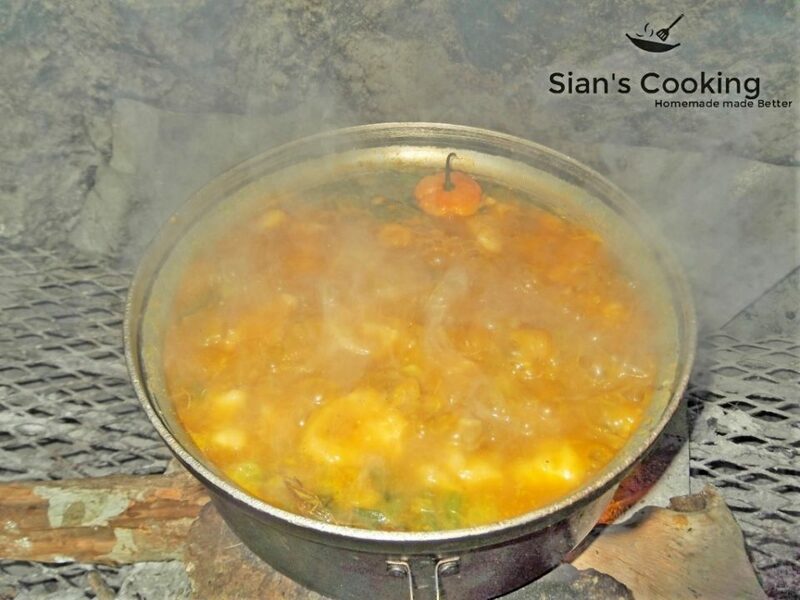 There are a few variations of soups throughout the Caribbean. West Indian islanders like their soups made with a main protein, loads of vegetables, roots foods, dumplings and finished with fresh herbs and spices. In the Spanish Caribbean Soups fall somewhere between the American broth and the English Caribbean stew. Hondurans add tomato paste and cabbage. Cubans opt for a herb infused broth with chunks of protein, potatoes and pasta. The various cultures and their methods are examined in this category. Fish tea, as we Jamaicans call it, is unlike most other Caribbean soups. Fish Tea is a light refreshing soup that has a thin broth, a few root vegetables, fresh herbs and fish. Most other Caribbean soups have a thick stew-like consistency. Use any whole fish or fish filet to prepare this refreshingly delicious soup…. Another popular Jamaican Saturday soup and a personal favorite is Chicken Foot Soup. Chicken Foot Soup is one of those love it or leave it Jamaican delicacies that this Jamaican absolutely loooves. Besides the obvious presence of a few chicken feet there is really no difference between chicken foot soup and a bowl of traditional Jamaican chicken soup….